Welcome back to another post this week. Whilst I know a lot of you come over to my blog for zeal, motivation and all round a boost of pow pow, girl power! I maaaay just need to flip roles with you and perhaps get you guys to console me a little! So I'm in a funk right now. Having an urge of awkwardness, displacement, anxiety and a slight loss of focus. This tends to happen to the best of us, and even the most strong people you know go through this really awful state. Whilst this year has definitely been a blessed year for me, in regards to progression, growth and fresh starts, it does come with many trials, and that has definitely been the case for me. I am in a testing season and have unfortunately been quite distracted and my main focus right now is to get back on track so I would not fully detach. This evening, I got a call from my Pastor, and he could definitely sense I have been quite complacent and that is why he called... I was so open and honest about my emotions lately, that he said it is as if I am like a fish, that has been taken out of the water and I instantly agreed and knew within my spirit that he was right about that. I am definitely the first person to say, to get positive and get focused, it is the people around you that matters a great deal. Negative energy can rub off and in no time, your entire aura can become negative. Whilst I feel I have done a great job at getting rid of negative people, it can get to the point where you are lonely and finding positive people to replace the negative, can be very difficult. Thats ok, because what I am learning is to cope with loneliness and also learning that people, positive or negative are not the ones to put me in check, make me happy or get me focused, the responsibility is within my own hands and I have to work on this for myself. God has blessed me with the best friends, a girl could ask for... but I did mention, even with those amazing women in my life in a post about being a lonely YouTuber... it is possible to feel lonely and displaced. In fact, you can have so many people around you, friends, family, children, colleagues and more and still feel very displaced and lonely. I feel, what has happened to me in this season is, I have successfully distanced from negative people. Correct. I then have a few positive friends. Correct. I have over-strategised, almost like a perfectionist in regards to family affairs such as care for my son, my relationship with my husband and of course, work. I also make a lot of time for myself.. all correct. But within the process, I almost forgot to feed my spirit with what my spirit needs, and instead feeding it with something that drains me tremendously. With the amount of things I juggle daily, I felt overwhelmed and obliged to commit to everything, forgetting that my body and mind needs a break. I often put my family before me, which is a natural thing for mothers but in the same breathe, receive a lot of criticism for how I handle my family affairs. To be absolutely honest, social media has been extremely dangerous, and not a place where I want to be. The level of negativity found on social media is so ridiculous... but at the same time, social media is so rewarding, so inspirational and there are many beautiful people and things you could find on this platform. Recently, with the amount of drama that has happened not even socially but with recent bad news from around the world, added to the drama within the industry, added to the negativity and criticisms that come directly to me and then added to my personal issues such as family drama, handling business deals daily as a CEO, going through a few health issues of my own, dealing with weight gain (even when trying to loose weight), added with a sprinkle of my hormones running crazy during ovulation and when on my period.. I just need to..
Last night, I deleted the twitter, Instagram and snap chat apps from my phone, and only planned to go on the app when I have things that are catchy, fun, perhaps business related to upload or of course, updates for followers. I access twitter via my laptop like once a day add a few tweets and have scheduled posts using hootsuite. I started listening to some motivational preaching and made sure I was in church today. I found myself just sobbing and trying to figure out a way to gather myself together and literally rebuke all distractions. I am a strong woman, and I do not plan on breaking, when important people like my husband and son needs me, this is not a time to be compelled by distractions from the real world and of course the fake world! Am I the only one? Or are you all not aware of at least these few weeks specifically... with the police vs blacks wars, mass shootings in Orlando and recently Munich, murders literally everywhere, to the massive youtube drama, celebrity mess its just almost addicting to get into the madness that is found on the internet yet, sometimes, we do not realise that it is huge drainage! I have noticed this for a while, but on Friday night, it just dawned on me that I need to STEP AWAY. Whilst we all enjoy hearing and feeding into gossip, and 'sipping tea', how often do we stop to realise it is taking huge essential fragments of our day and contributing to anxiety and even our own confidence. I feel paranoid, extremely anxious.. and something needs to be done about it. I am the type of person to be honest to myself and honest to others and I wear my heart on my sleeves, but I am pretty certain that almost all of us feel like this right now, and perhaps a lot of us don't notice or a lot of us just deal with it. This has been quite a year and I am not even referring to personal woes, but the world in general is changing and it is actually quite daunting. My mental state is bombarded by a lot of the things I see in the real world, in the fake world and in my personal world. My motive right now is to put myself in balance whilst everything is and will continue to happen. You cannot stop the world from being the world, but you can definitely find a way to handle the plethora of changes through keeping content and positive. My emotional state luckily is a lot more stable and of course it is effected by my mental state, but generally, I am not sad, just in a funk and perhaps very anxious, I am afraid my current feelings can lead to effect my emotions greatly, and someone with a history of depression, I do not plan to make my emotions be effected greatly! I felt the exact same way with all the issues going on in the world adding to my own stresses. Also feeling extremely lonely and displaced, I've dealt with things in a similar way made sure to be church, listening to sermons and trying to pray more. I can relate. Negativity is everywhere and before you know it, it rubs off on you. I like to take walks in scenic areas. It takes my mind off whatever may be going on and forces me to be aware and appreciate my surroundings. Journaling helps too. Just get the feelings off your chest. I almost always feel better afterwards. Best wishes, Chanel! I hope things get better for you. You're very strong and I know that you'll be ok. I follow all your social media platforms and also your YouTube, but this post right here made me appreciate you more. I personally deal with issues like this, and trust me, I found out that when I feel this way I always call on God and there's that unexplainable peace you feel knowing that God would always be by your side (John 16:33). Motivate yourself with your loved ones, try and take time out for yourself to rest, and even meditate on his words. Also, your body weight issue, take it one step at a time. I mean you could always control your diet and even go for long walks outside your environment. I follow your instagram and I'm happy that you were candid enough to share what you were going through. The news all around the world was causing me anxiety too, it seems like we're on the edge of something that is not good. What I've done is gone deeper inot prayer. Where do I put my trust? In God. What can I control? Not much but I have control over the peace and happiness in my life. It's not easy to feel unsettled and unhappy but God has you. I don't know you but i recommend taking a complete vacation off all media. Take time to rest and get centered. Maybe I'm suggesting this because it's also what I need. We often to forget to REST. Turn it all off. We'll be here when you get back. I totally understand. No matter how much effort you put into ridding yourself of negativity, sometimes life gets the better of us. I am the same when it comes to being selective of the people I surround myself that for most of my life I did struggle with feeling lonely but I think I am getting into a space where I am open to getting to know other people even if their role in my life is for a minute or a day or a lifetime and for those who leave I embrace it and for those who stay and contribute positively I embrace that too. But mostly I want to focus on just living in the moment and not overthinking things. All I can say is Wow. You know, I do not know you personally, although I feel like I do because I have been a subscriber of your channel for about a year now. I'm a newbie to the YouTube arena. I caught your post on Instagram, and thought I should say something. As I have been forced to stay inside because of the raging fires near my home, I have sat and thought about how it seems that the world is teetering on the brink of chaos. I look out my window at the smoky sky, in this sweltering heat, where the sun is casting an almost blood red hue, and it feels like the end of the world. It is so easy to become down in times like this, isn't it? Feeling like the world around you is collapsing, like kindness cannot be found anywhere, and reality is more fiction. The truth is hard to find. I think you know what you need to do. Your pastor has given you some sound counseling, Chanel, and maybe it is time for you to cloister in close to those who truly matter. Sometimes we get our priorities out of order and we don't realize it until we are spent, tired and discouraged, but sometimes we need to get to that point in order to see that we need to put God first: God, Family, Career. In that order. Funny thing is, when we work within that framework, our health, hobbies, social life…all of the other stuff…gets taken care of because we are in balance. So you cannot go to the gym…okay. That's okay…can you swim? Can you walk for 30 minutes a day and still make your smoothies you've become excited about? Still keep your promise to yourself while obeying your doctor’s orders. Water is great, because there's no resistance on the joints. In addition, when loneliness and “down-in- the-dumpness” attacks, getting out and serving others is always a fix: Is there an organization nearby that needs your talent or assistance? Take some time to volunteer, and you will definitely feel better and get some blessings in the process! Bottom line: Being an online personality is glamorous. Your online presence is glamorous and you have so many adoring fans. The reality, however, is that the real substance that makes you great are things that are not virtual. Your family, your home and our Heavenly Father. 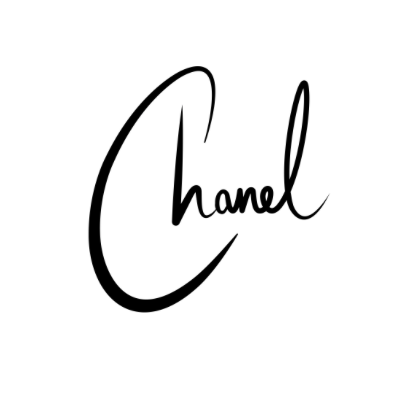 Time for focusing within, Chanel. Not just for you, but for all of us. Remember, you are in the world, but not of it! Be encouraged and stay prayed up, my friend! I love your post and the level of honesty in it. Seriously my solution these days in response to all the world's woes and some of the fakeness in the social media world is to watch less of the news(especially first thing in the morning - I am the kind of person the flicks on the news as I get dressed for work). No news means I reduce the negative start to the day of people dying, terrorism and the hate crime reports of late. I have also recently stayed away from a lot of social media accounts as well as un-followed a couple of accounts as there is only so much BS and fakery I can take or compare myself to. A little break from it all I find does my mood and outlook some good. Im an avid reader of your blog and love your Youtube vids. I think its important that you have recognised that you're feeling down and taking some time to repair. This world is full of tests and pain and we have to accept this, live as peacefully as we can and remember we can only do so much to help others! It's my personal belief that every life/mental breakdown we have is a prerequisite for achieving the next level of our personal growth - only those with the potential to achieve greatness are tested in this way. This is honestly not a shameless plug but I wrote a piece a while back about how our breakdowns can be a good thing , if you have the time please read it as I hope it could help to change your perspective. Lots of love and respect for you! you have become a part of my life, as an inspiration. 6 years ago, I had a still birth and mourned my child for almost three years. I was depressed beyond comprehension. It took a toll on my marriage, my relationships, my family, everything... I healed, but I still feel pain sometimes, which is normal. I haven't had a baby since. My husband and I are in charge of the choir at church. the experience is quite challenging and at the moment, I feel completely drained, and out of resources and inspiration. I am also a makeup artist, wedding planner and work as a sales officer in a five star hotel. we are currently going thru a crisis phase, due to elections (in the DRC), and stress keeps piling up. I have assignments to render to school for my beauty therapy course, I have to schedule my day to fit in my husband, my job (forecasting and trying to get revenue in a perfect crisis environment), plan themed evening at the hotel to generate traffic and revenue, part-time makeup on weekends, choir rehearsals (3 times a week) + 3 church services every week, I am planning a bridal show in town for september, I have weddings to plan... and all of a sudden, now I just feel drained and empty... Can't eat properly, stuffing myself with pastries and ice creams for instance... And here, I read that you happen to be in somewhat the same phase I am going thru. I have one hope, though : God is in control, it's up to us to give him the wheel. when we want to do things on our own, it gets messy and complicated. I want you to know you are blessed, strong and beautiful. You inspire me and many others, this too shall pass. Your post was so real and raw. I relate on so many levels. Thank you for sharing. What I would say is it during these moments when you are tested the most that God strengthens his hold on you. It is when your spirit feels weaker that his love grows to cover you. It's been hard as heck for me to not be consumed by the constant images and news of cops killing here in America and the massacres abroad. Recent news has forced me to realize I never dealt with cop killings from 20 years ago when I was a pre teen here in NY. And I struggle with being an angry. Everyone who knows me knows I'm the most posit over person ever. Allow yourself to go through these emotions don't deny or limit yourself. Take the time you need to purge and regroup. You are an amazing mother and how you parent and the decisions you make for your family and between you and your family. There will be many who criticize but none of them could walk your shoes and carry your load that is why they criticize from behind a screen. Secure yourself in your identify and who you are in Christ. Be confident in the mother you are those folks block them. You are a gorgeous woman. Your entitled to feel insecure. Know that regardless if your weight goes up or down it does not diminish or reduce the quality of woman you are. Your journey has inspired so many women and young girls to love themselves. Take pride in that. I do not know what your medical issues may be. But I remember in your Nubian Skin video you talking about your insecurity related to your body. Sweetheart you were the most beautiful in that moment. You may feel like a failure but take stock in knowing it wasn't negligence and you are Chanel Ambrose damn it! You may trip but you damn sure don't hit the ground. Your true supports will all be here when you are ready to return. And we stand in agreement and prayer with and for you. Let us being your shield and be the strength you need. In the mighty majestic name of Jesus I do declare that this moment in your life is temporary and it shall pass and great days are coming for you. That weight will drop, the rash will disappear and we black and brown people will see better days. We are not destined to be hashtags we are Kings and Queens. Sorry for the rant that was all over. But hopefully you get what I was saying and know I meant it from the heart. I said this some time ago.Social media gives me a headache but I do my business on there but occasionally I like to step away.It's good for our mental state. Chanel hun, thank you so much for owning your truth and sharing it with us. It's something I continually struggle with, being lonely in the midst of people but I'm learning to take ownership of my own emotions and stay grounded in the truth of Christ to be my foundation and bedrock. Ride the wave of life the best way you can...and you have been doin so by taking a break. Not being able to control things can at times put me in a funk as well...especially when the turn out is the opposite of what I desired. I get upset, cry, feel frustrated....I feel stuck or denied. I then encourage myself through the word and by just relinquishing the need for that control. It will all work out in the end my dear....swim when u must...float when u must...n right now...take the time to float. Darling, you poured out your heart on here. It's amazing, I can relate with your pain in blotting out negative people. Thank you for keeping it real, 100%! Also been through slumps, at times by God's grace, the Holy Spirit, Hubby and my mom, they help me get through it. Sometimes, you do need to just cry! Yes I said yet, cry and let out all the pent up frustrations. After crying, what brings me through, is setting some time to fast and pray. I switch off, cellphone, TV, and just meditate, read the Bible and listen to Gospel music from sunset to sunset. Then third, what helps is keeping Sabbath. From Friday Sunset to Saturday Sunset, put work aside. On this day, work, rest and spending time with family and going to church, seriously transforms and revive ' s me for the week ahead. Here's to going forward in faith, no matter how we feel, because feelings can be deceiving too.